There’s a well-known study among cognitive psychologists in which participants are asked to draw the basic features of a bicycle. Even the participants who owned a bicycle flubbed the test, sometimes connecting the chain from the back wheel to the front. Not surprisingly, most rated their knowledge of bicycle mechanics quite highly before taking the test. 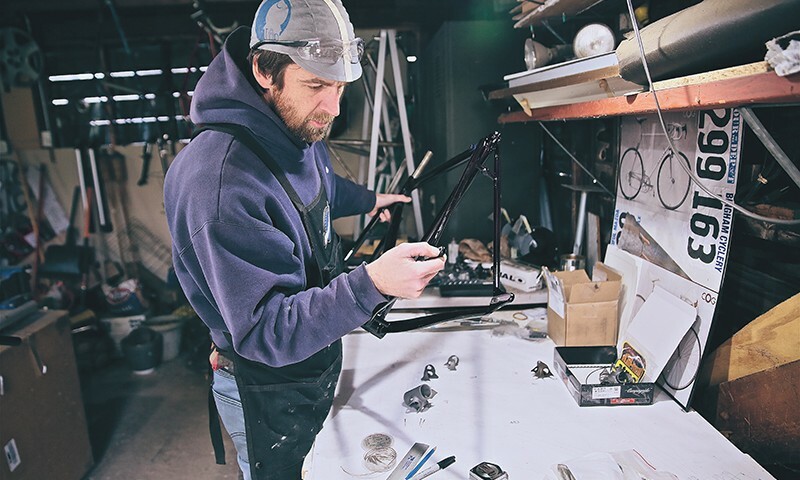 Luckily for me and you, Lenny, we don’t have to know where the handlebars go, because there are people like Matt Nelson, owner and sole employee of Saltair Cycles, who are more than happy to indulge our ignorance. Following the breadcrumbs of the Internet, Nelson became interested in a type of bicycle racing called cyclocross, a timed sport in which riders follow a closed course with terrain ranging from mud and pavement to barriers where the racer must dismount and clamber over. He tells me that the sport is much more spectator-friendly than are other brands of bicycle racing. “People will come and drink beer, heckle the racers,” he says. “It’s just kind of a culture”—a culture, he tells me, that’s already sweeping the Northwest and gaining popularity here in Utah. 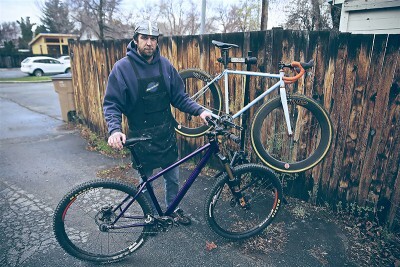 Matt Nelson chiefly builds cyclo-cross bikes via Saltair Cycles. While cyclocross may sound esoteric or niche, if you’re living in an area with volatile weather, it’s actually quite practical. The cyclocross season traditionally takes place in the fall, when the weather gets wetter and conditions get burlier. To accommodate both the need for speed and maneuverability on hardy terrain, the cyclocross bike features dropped bars—same as road bikes, but with wider forks and a sturdier geometry. “Not everyone wants to race, but a cyclocross bike, for riding in different conditions, can be a good advantage,” Nelson says. Nelson says that a bike typically takes two weeks to build, including the paint job. From start to finish, how it’s made, who made it, we’ve come full circle—or full tire, or whatever. That reminds me: Get that chain off of the front sprocket! Get your hand out of the spokes! 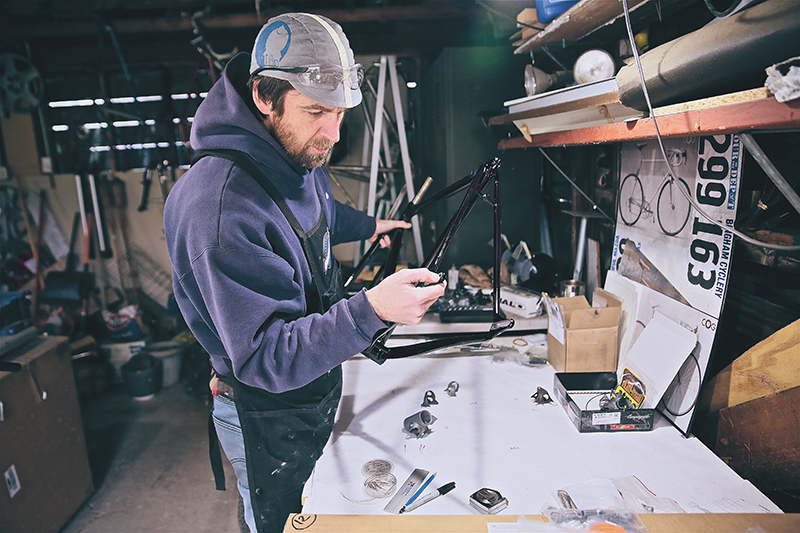 Don’t be a dumbass—let Nelson build you a bike. Inquiries can be made at Saltair Cycles’ website, saltaircycles.com.